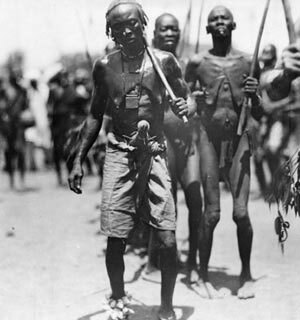 Hugo A. Bernatzik studied ethnology, psychology, and anthropology at the University of Vienna. 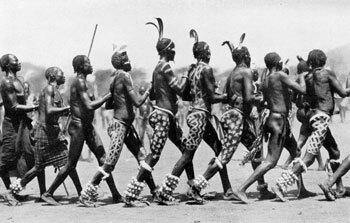 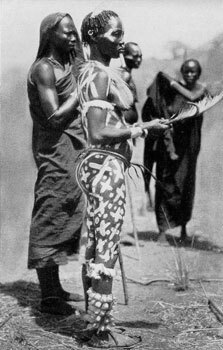 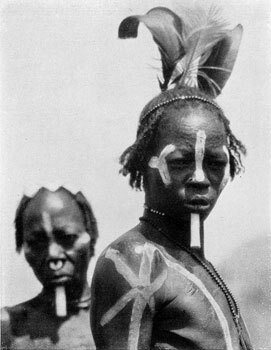 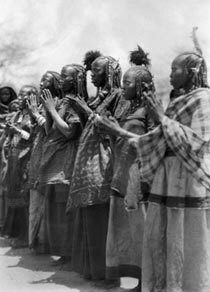 In 1925, he traveled to Egypt and Upper Sudan where he began seriously photographing people in their traditional environment. 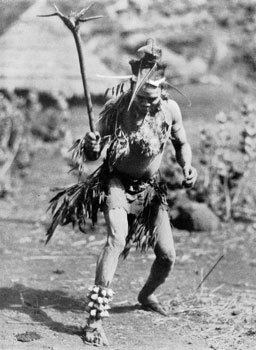 Subsequent extended trips throughout Africa, Southeast Asia, and the South Pacific provide us with an incredible early look at the many people and places he encountered. 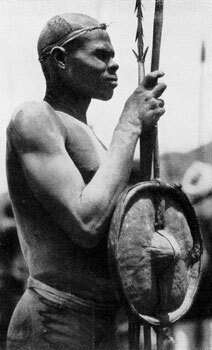 He fell ill on his last trip to Morocco and died March 9, 1953 from a tropical disease, at the age of fifty-six. 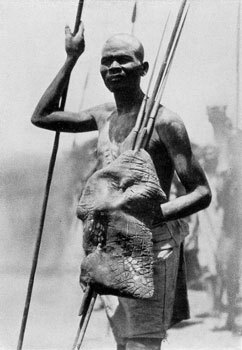 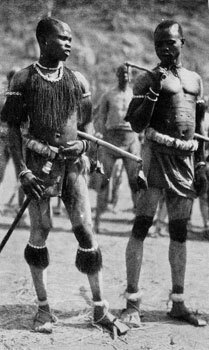 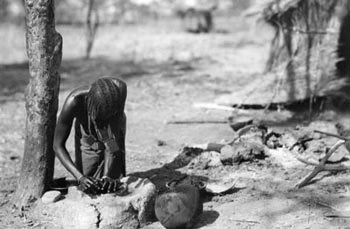 The vast, open space of southern Sudan was, in 1927, one of the most remote places in Africa. 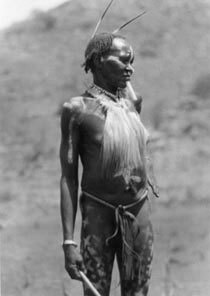 The inhospitable nature of the environment also reflected the difficulty in photographing the inhabitants. 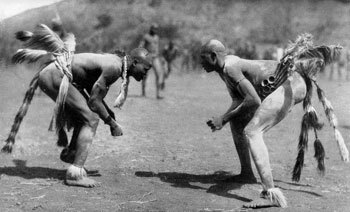 Bernatzik found it hard to gain the trust and confidence of his subjects, oftentimes having to snap shots surreptitiously, or resorting to making payments of trade goods to local chiefs, which enabled him to shoot within the local communities.